Squeegees with either rubber or plastic blades are useful for scraping off excess resin from reinforcing cloth and woven roving 'When doing laminating or lay-up work. This is important for. Keeping the reinforcing-material-to-'resin ratio high for greater strength in the cured laminate. Squeegees can also be used for spreading resin quickly and removing air bubbles. The blades on some squeegees are stiff. Others have some flexibility such as those used for cleaning window glass). It will take some experimenting with both types to determine which you prefer for fiberglassing work. 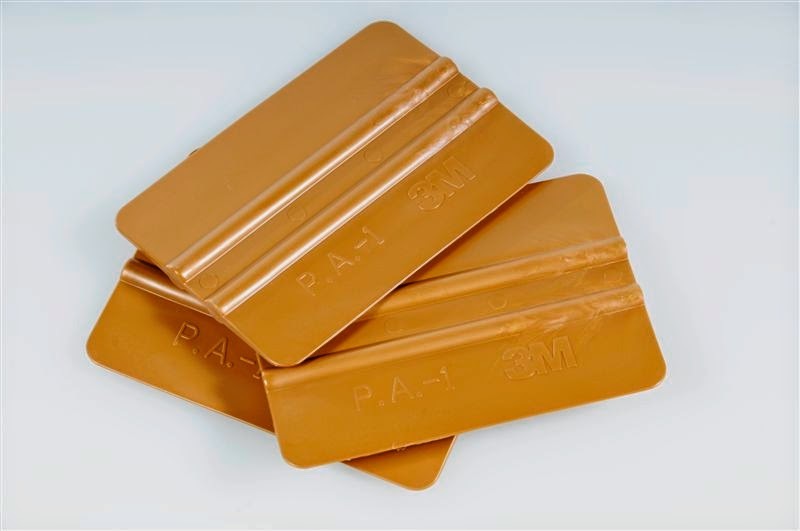 Squeegees are available in various widths or in strips that you can cut to desired lengths. Those with blades from about 3 to 6 inches wide are about right for most fiberglassing repair work. Some squeegees are gripped by the side of the blade, others have handle. The choice is largely a matter of individual preference. Those with handle can be used to get at hard to reach areas.